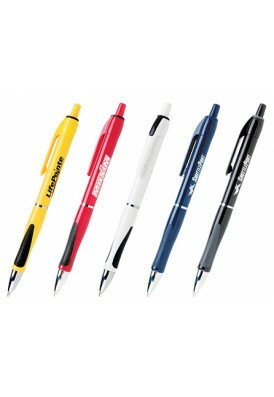 Euro style push retractable pen features vented upper grip and silver accents. 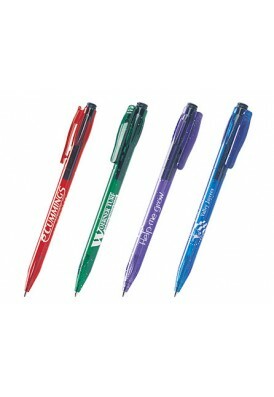 Red, blue, and black pens available with silver imprint. 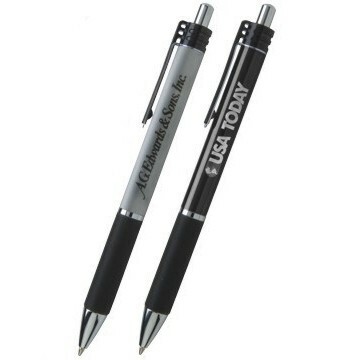 Silver pen available with black imprint. 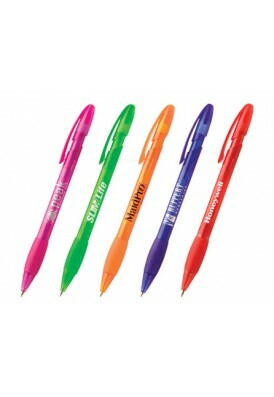 Pens come individually wrapped in cellophane. 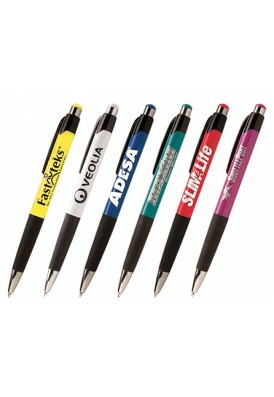 FREE set-up for text only imprint. 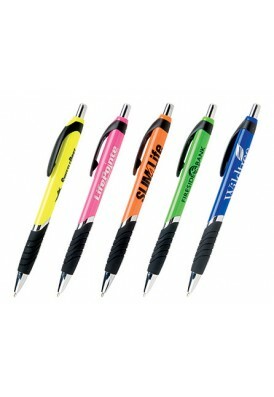 Individual personalization is available for $0.60 per piece. 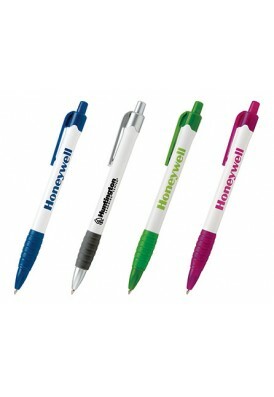 Please supply all personalizations in an electronic file. Free straight line imprints of 2 lines, 40 characters available when using the following fonts: Avante Garde, Bank Gothic, Bauhaus, Benguiat, Bickley Script, Bradley Hand, Britannic, Block Italic, Castle Tlig, Centure Gothic, Eras, Flemish Script, Futura, Garamond, Goudy Old Style, Kabel, Lubalin Graph, News Gothic, Palatino, Script 12, Roman, Roman Italic, University Roman, Weiss, ZapfHumnst. Available in black ink.